Since its launch in February 2003, the Game Boy Advance SP has produced a stunning sale, even exceeding the PS3 sales as of September 30, 2010. Game Boy Advance SP has sold 43.54 million units worldwide as of June 30, 2009. This amount is greater than sales of Game Boy Advance original version. There are many interesting games that can be played on the Game Boy Advance SP. Some of those games may now have become nostalgic or the history that follow your growth or even you want to play it again. Here are 10 best-selling games you can play on the Game Boy Advance SP in alphabetical order. 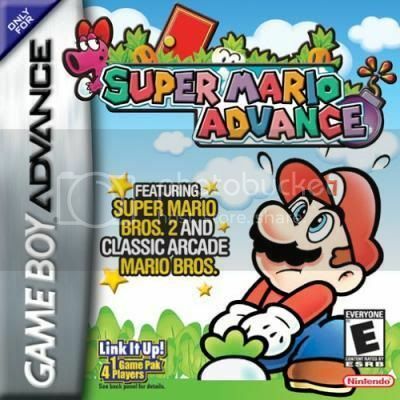 It is one of Game Boy Advance SP games which has achieved sales over 1 million units worldwide. Released in 2003 by Traveller’s Tale based on the very popular movie Finding Nemo produced by Disney and Pixar. This game is actually not too special and gets the average score from various reviews. But it seems the success of the movie helped the sales of the game that reaching 1.745 million copies worldwide, from which 1.55 million copies have been sold in the United States alone. This game was available to be played on Game Boy Advance SP in 2004. A total of 104,000 copies have been sold in Japan within 48 hours from the date of its official launch. The critics gave a positive reception of this game mainly about the story, FMV, and graphics. It is a direct sequel of Kingdom Hearts and at least has sold over 1.742 million copies worldwide. This success encouraged Square Enix to make the PS2 version, titled Kingdom Hearts Re: Chain of Memories that was released in North America on December 2, 2008. It can be played on Game Boy Advance SP since November 2003. So far it has sold at least 1.8 million copies worldwide. The game mainly focuses on solving problems. Mario and Luigi must work together to solve these problems even during battle. The battle system is similar to the one in Paper Mario (Nintendo 64) and Super Mario RPG (SNES). This game is another version of Pokemon Ruby and Sapphire. It was available for Game Boy Advance SP in 2004. This game is getting good ratings from various critics. 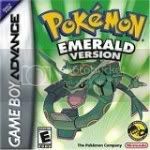 At least Pokemon Emerald has sold more than 6.32 million copies worldwide. It’s a must have for the Game Boy Advance SP players. It’s one of Pokemon’s Role Playing Games for Game Boy Advance SP. 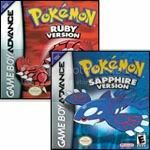 Released in 2004 and is a remake version of Pokemon Red and Blue which was released earlier in 1996. The sale of this game was hugely successful. In the first week since its release in Japan the game has sold more than 800,000 copies. In total, as of March 31, 2008, it ranked second in best-selling Game Boy Advance games with total sales reaching 11.82 million copies worldwide. It’s another must have for Game Boy Advance SP players. This game can be played on Game Boy Advance SP since late 2005. 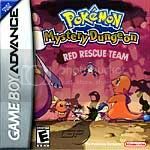 This game is very similar to Pokemon Mystery Dungeon: Blue Resque Team which released on Nintendo DS. Both games were developed by Chunsoft and published by Nintendo. Each version has six different Pokemon exclusively. The critics gave various receptions to this game. But most of them assume that the game is fun to play and addictive. Red Resque successfully sold over 2.2 million copies worldwide. The owners of Game Boy Advance SP started to be able to play this game in August 2003 when the game was first released in Japan. 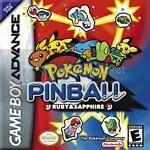 It is the sequel of Pokemon Pinball on the Game Boy Color and based on Pokemon Ruby and Sapphire previously released in late 2002. In this game you play pinball like a traditional pinball while also capturing Pokemon. There are 4 main modes in this game, the Catch ‘Em Mode, Egg Mode, Evolution Mode, and Travel Mode. This game received a positive reception from critics. At least this game has sold 2.5 million copies worldwide. It is a best-selling game to date for the Game Boy Advance SP players with total sales reaching 13 million copies worldwide. The owners of Game Boy Advance SP in North America can play this game since March 2003. 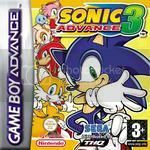 It is the final installment of the Sonic Advance series. This game can be played on the Game Boy Advance SP since June 2004. Sonic Advance 3 uses some elements from previous games, the Sonic Advance and Sonic Advance 2. There are 7 main levels, Alternate Ending (without the Chaos Emeralds), and the True Ending if you can collect all the Chaos Emeralds. This game received good score from various gaming sites and so far has sold 1.5 million copies worldwide. It is a remake version of Super Mario Bros. 3 on the Nintendo Entertainment System (NES) which was released in 1988. In this game there are several enhancements, such as adding certain content by scanning e-Cards within Nintendo’s e-Reader and a multiplayer mode. This game can be run on the Game Boy Advance SP since July 2003. Various critics gave a positive response and high score. 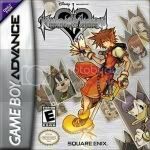 It has been sold at least 3.6 million copies worldwide and ranked 7th in the best-selling game on the Game Boy Advance. That is a brief overview of some of the best-selling game that can be played since the Game Boy Advance SP was released in February 2003. 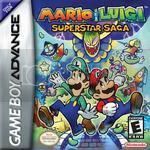 This entry was posted in Best Video Games, Nintendo and tagged best game boy advance sp games, game boy advance games, game boy advance sp, game boy advance sp cheats, gameboy advance games. Bookmark the permalink.